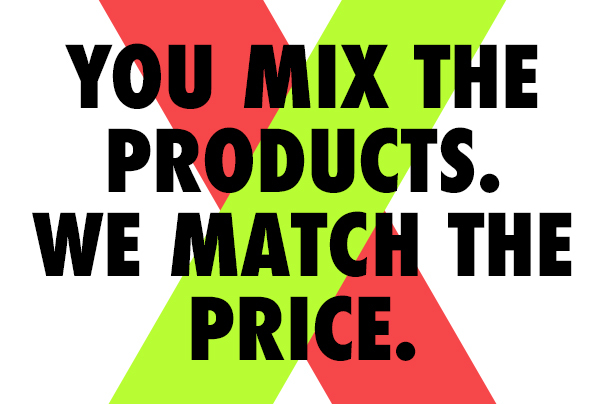 MIX & MATCH: You Mix The Products. We Match The Price. 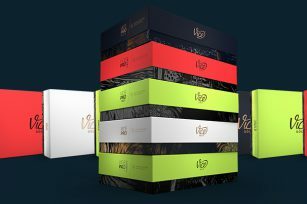 We´re starting 2019 with great news and even more savings potential when ordering Vice Golf balls. 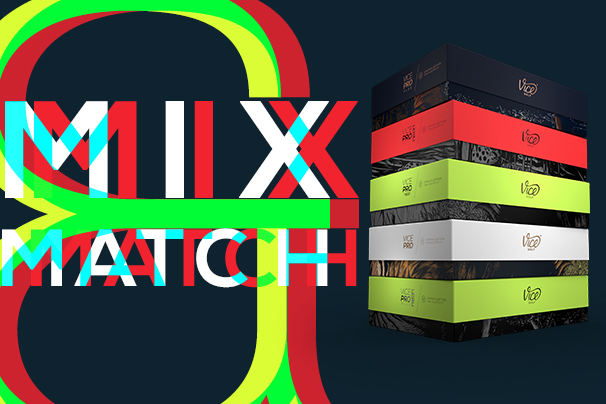 With Mix & Match you will get the best ball price, if your order adds up to five dozen, no matter how you combine models and colors – and more money is left for other vices. 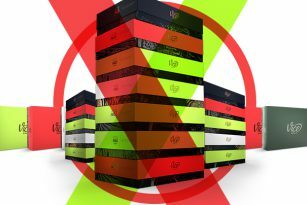 From numerous feedback messages and sales figures, we learned that our customers cherish our colored options NEON LIME and NEON RED. Increasingly, golfers want to experience the full diversity of our lineup. Sometimes they want to play the NEON LIME ball – sometimes the NEON RED – sometimes simply the WHITE model. Depending on the conditions, they want to play the PRO SOFT – sometimes they opt for the PRO, in other conditions, they feel ready for the PRO PLUS. 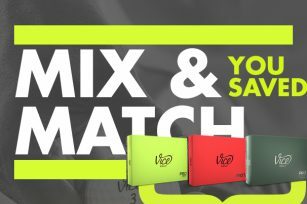 Until now, it was not possible for them to fully profit from our volume discount price model when ordering our PRO, PRO SOFT or PRO PLUS in NEON LIME, NEON RED and WHITE. 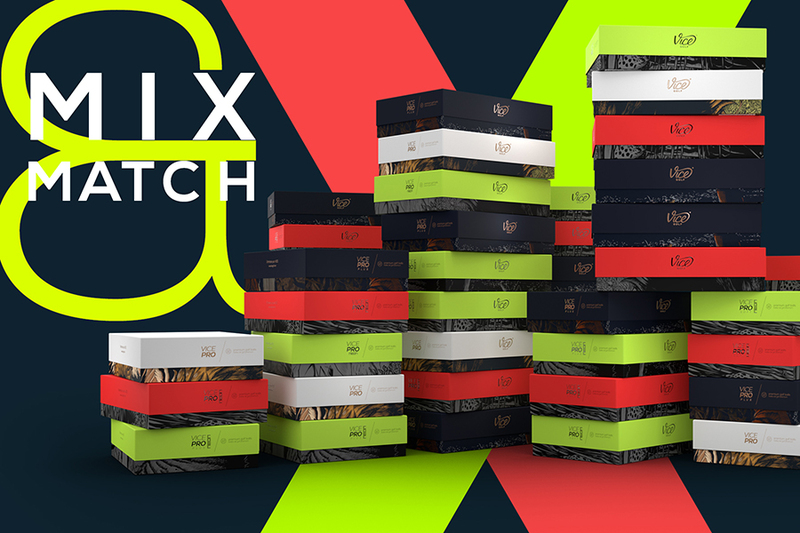 With Mix & Match you will get the best ball price, if your order adds up to five dozen, no matter how you combine models and colors. Your minimum saving is $15 if you order three dozen and up to $50 if you order five. A short manual shall help you to save even more money when ordering Vice Golf balls while enjoying the full color diversity of our line up. What´s left to say? 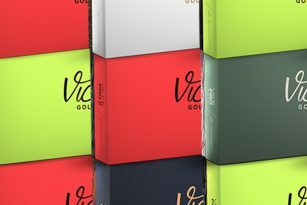 Equip yourself for the new season with Vice Golf balls in your preferred color options and benefit from a better price starting from three dozen – your savings potential increases with an increased number of dozen ordered. Posted in Business, Golf, Informative, Stories, Team VICE GOLF and tagged ball mix, best price guarantee, mix and match, onlineonly, savings potential, vice golf. Bookmark the permalink.